We’ve put together some information for you all about going Dairy Free when going low carb/keto! Why would you want to go dairy free? You may be allergic or intolerant to dairy or just struggle with lactose or dairy proteins. You may be lactose intolerant and now even know it. Reason being is that approximately 65% of the human population have a reduced ability to digest lactose after infancy. Lactose is metabolized by gut bacteria, which can cause stomach upset, flatulence, diarrhea, bloating, nausea, and a few other familiar gastrointestinal symptoms. Although they aren’t life threatening, they are annoying and can make life difficult and unpleasant. If you find that you feel worse after eating a dairy-heavy meal, then you may have some degree of lactose intolerance, but it would be advisable to verify if you really do struggle with lactose. The good news is that the low carb/keto diet tends to be much lower in lactose than any other dairy-containing diet, so you may only get minor side effects with some keto meals. But, if your body is struggling with low-lactose dairy products like butter or cheddar cheese, then you may have a dairy allergy or an intolerance to dairy protein, not lactose intolerance. Is it possible to live a dairy free lifestyle and be on a low carb or keto diet? Yes you can! Fortunately, there is a huge variety of dairy substitutions and dairy free recipes that allow you to live a dairy free lifestyle whilst on a low carb or keto diet. Should you cut dairy out of my low carb/keto diet? Whether you have some degree of lactose intolerance, dairy protein intolerance, or dairy allergy, it is up to you how much dairy you include in your diet unless or course the consumption of lactose or dairy protein sends you into anaphylaxis or makes you feel terrible, then you should opt for a dairy free diet. But if you aren’t sure, it may be best for you to figure out if dairy is truly an issue for you. Click here to read more on how to figure that out. One tip people do hear when their weight has plateaued or they aren’t seeing results is to eliminate dairy. Avoid milk and cut back on the cheese, yoghurt and cream. Butter is fine, as it is very low in protein and lactose and therefore won’t spike insulin. What foods can I eat on a dairy free low carb/keto diet? 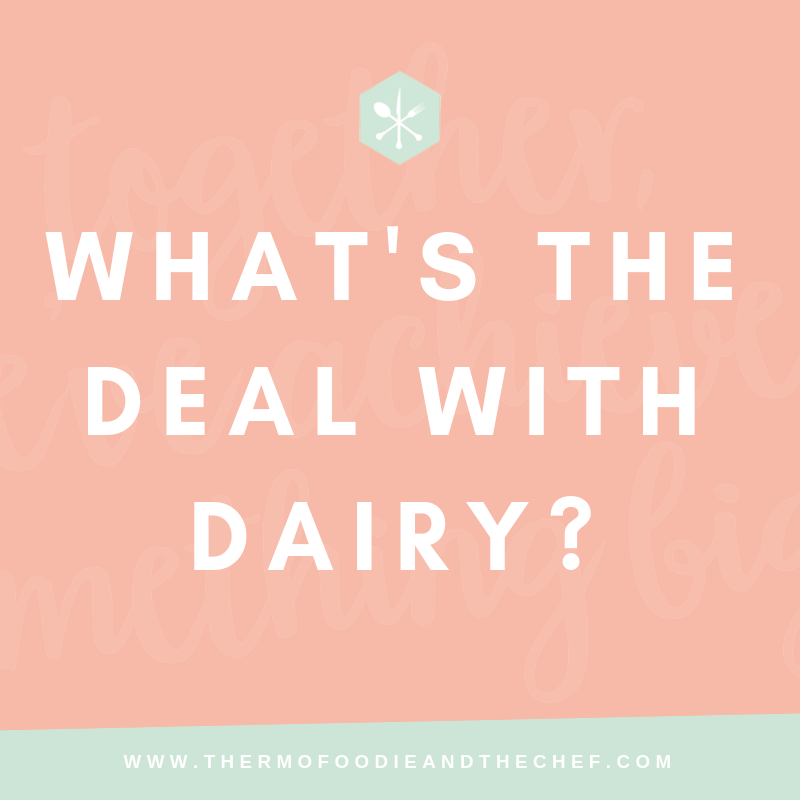 Where can I start with finding FREE dairy free recipes? 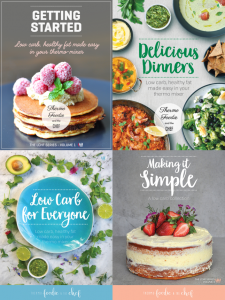 Here’s more info on the Thermo Foodie and The Chef Dairy Free Recipes in each cookbook!